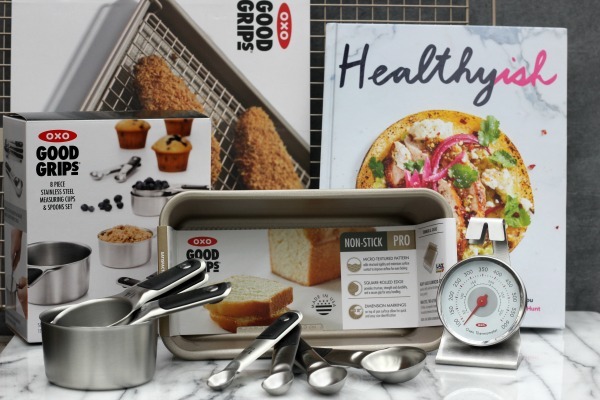 This post is in partnership with OXO. As always, all opinions are my own. At any given time you can find 3-4 cookbooks and at least five magazines on my nightstand. Not to mention a non-fiction book or two, five lip balms and three types of eye cream. 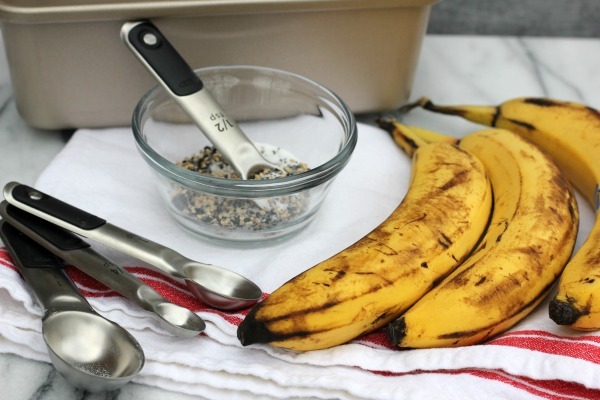 What can I say - I love finding new recipes to try and I like to stay moisturized - ha ha! 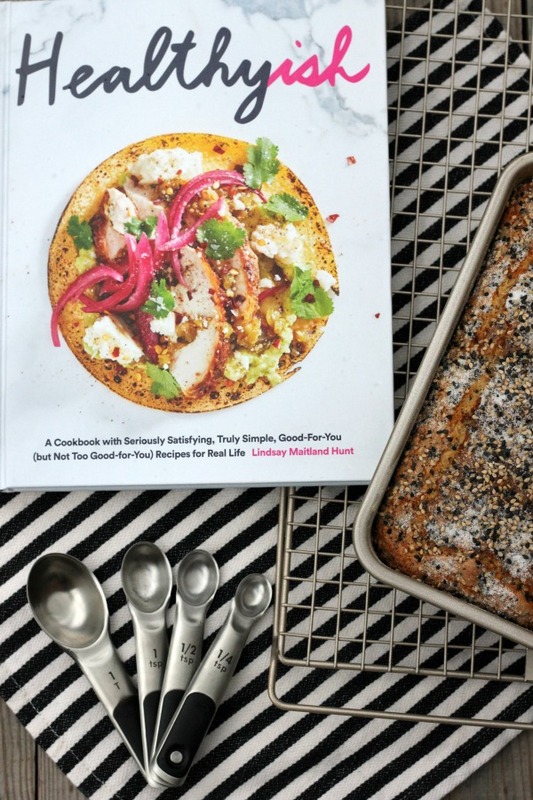 Hunt's new cookbook Healthyish to review I said YES! 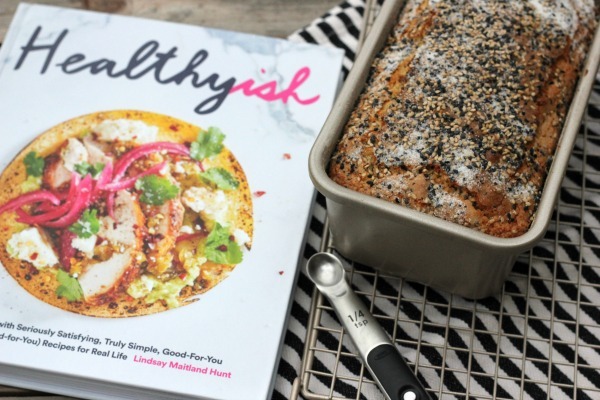 Healthyish is full of simple, real life recipes that are good for you, but not too good for you. Avocado, Stovetop Strawberry-Oat Crumble and Whole Wheat Chocolate Chip Cookie Bars. I can't wait to try them all! 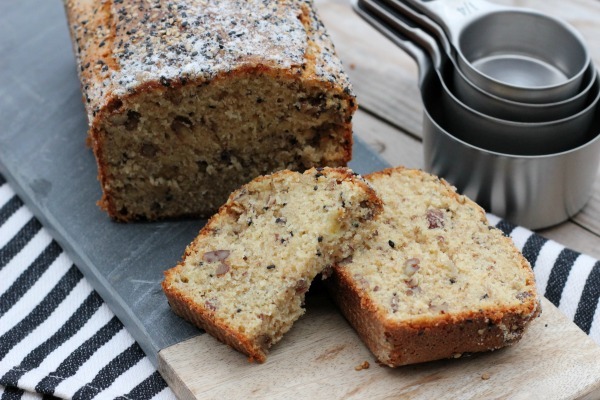 favorites, but I had never tried a banana bread recipe that included poppy and sesame seeds. half sheet pans, which is nice for baking chicken strips and for glazing cookies and cakes. nicely together. I'm going to be using them often! over it, so you know it's a good cookbook! this and pack them in my lunch for work. Preheat oven to 350 degrees. Oil and flour a 8 1/2 by 4 1/2 inch loaf pan; set aside. 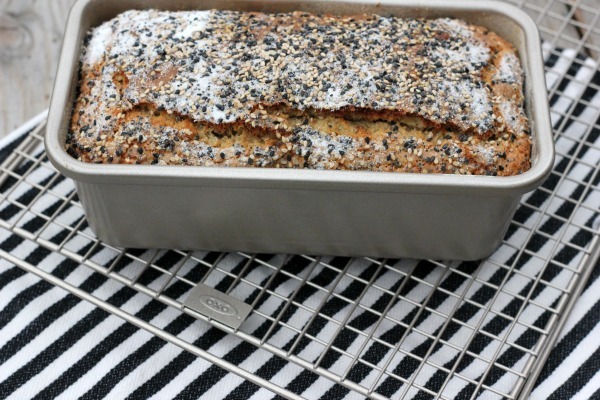 sesame seeds, baking powder and salt. 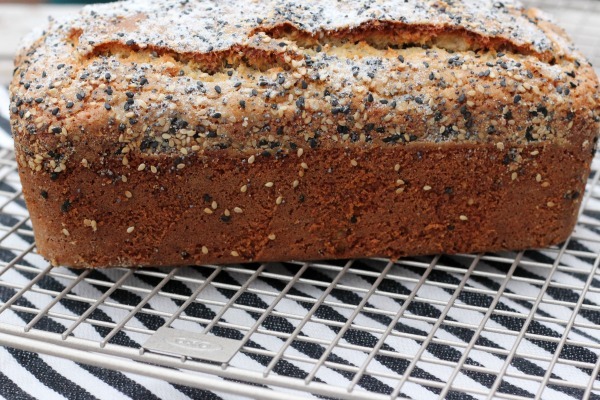 reserved poppy-sesame-sugar mixture evenly over the top of the batter. attached. Cool for 15 minutes in the pan, then turn onto a rack to cool completely. Recipe printed with permission from the cookbook Healthyish by Lindsay Maitland Hunt.